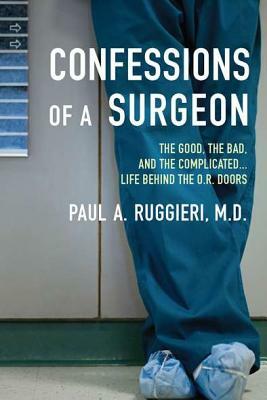 As an active surgeon and former department chairman, Dr. Paul A. Ruggieri has seen the good, the bad, and the ugly of his profession. In Confessions of a Surgeon, he pushes open the doors of the O.R. and reveals the inscrutable place where lives are improved, saved, and sometimes lost. He shares the successes, failures, remarkable advances, and camaraderie that make it exciting. He uncovers the truth about the abusive, exhaustive training and the arduous devotion of his old-school education. He explores the twenty-four-hour challenges that come from patients and their loved ones; the ethics of saving the lives of repugnant criminals; the hot-button issues of healthcare, lawsuits, and reimbursements; and the true cost of running a private practice. And he explains the influence of the "white coat code of silence" and why patients may never know what really transpires during surgery. Ultimately, Dr. Ruggieri lays bare an occupation that to most is as mysterious and unfamiliar as it is misunderstood. His account is passionate, illuminating, and often shocking-an eye-opening, never- before-seen look at real life, and death, in the O.R. Paul A. Ruggieri, M.D., is a practicing board-certified general/laparoscopic surgeon who has been operating for over 20 years. Dr. Ruggieri performed his surgical training at the world-renowned Washington University School of Medicine, Barnes Hospital, in St. Louis. He then spent three years as an active duty general surgeon in the U.S. Army. Currently, he is former chief of the department of surgery at a large community hospital in Fall River, Massachusetts, the very hospital he helped build as an ironworker before attending medical school nearly 30 years ago. Dr. Ruggieri has written several books for patients. He lives in Rhode Island with his wife and three stepsons. Visit his website at www.paulruggieri.com.